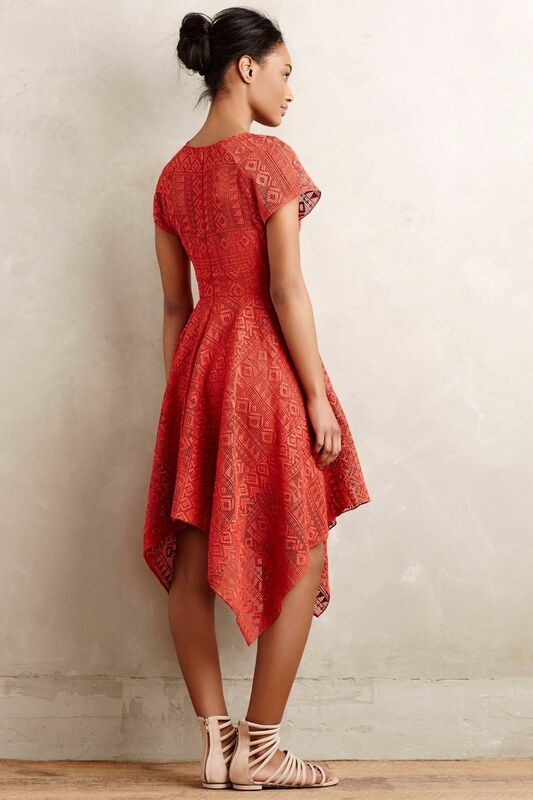 BRAND NEW WITH TAGS VERY STUNNING UNIQUE ANTHROPOLOGIE by MAEVE PRIMA ASYMMETRIC HANKY HEM LACE DRESS Sizes: 2, 10 Color: Coral SOLD OUT ABSOLUTELY EVERYWHERE!!! 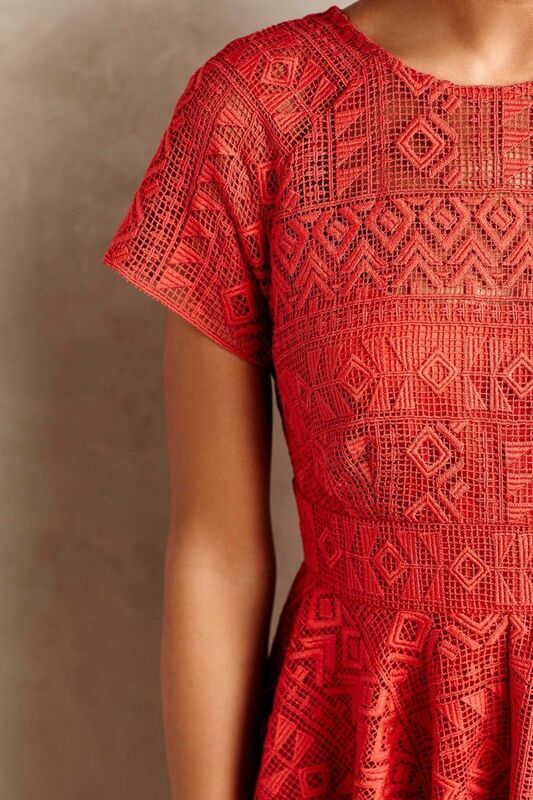 Details: By Maeve Asymmetric hanky hem Back zip Polyester lace; Polyester lining Dry clean Imported Approx. measurements (2; 10): Length (shoulder to hem): 45"; 47.5" Bust (armpit to armpit): 16.5"; 18.75" Waist: 28"; 32" Model is 5'9" PLEASE CHECK OUT OUR OTHER GREAT ITEMS. ALL ITEMS COME FROM SMOKE/PET FREE HOME. PAYMENT BY PAYPAL ONLY. WE WILL ONLY SHIP TO A PAYPAL CONFIRMED ADDRESS! PAYMENT IS EXPECTED WITHIN 4 DAYS. IF YOU CAN'T MAKE A PAYMENT ON TIME PLEASE CONTACT US WITHIN 48 HOURS OF AUCTION'S END OTHERWISE AN UNPAID ITEM CASE WILL BE OPEN AND THE ITEM MAY BE RE-LISTED. ATTENTION INTERNATIONAL BUYERS: PRICE SHIPPING CHARGES DO NOT INCLUDE DUTIES OR TAXES. PLEASE CHECK WITH YOUR COUNTRY'S CUSTOMS OFFICE TO DETERMINE THESE FEES PRIOR TO BIDDING. POSITIVE FEEDBACK IS GREATLY APPRECIATED AND WE WILL DO THE SAME IN RETURN. IF YOU HAVE A PROBLEM WITH YOUR ITEM AFTER YOU RECEIVE IT PLEASE CONTACT US IMMEDIATELY. LEAVING NEGATIVE/NEUTRAL/LOW FEEDBACK WITHOUT GIVING US A CHANCE TO MAKE IT RIGHT ELIMINATES ANY POSSIBLE NEGOTIATIONS. PLEASE FEEL FREE TO CONTACT US WITH ANY QUESTIONS OR CONCERNS YOU MAY HAVE. THANK YOU! High Fashion at Low Prices Track Page Views With Auctiva's FREE Counter Please note: Returns will only be accepted if item was grossly misrepresented. Make sure to check all the measurements, descriptions or ask any questions prior to making a bid. If product doesn't fit or you change your mind later, a 20% re-stocking fee may be charged.